Eataly is a pizzeria in Aker Brygge. Elio Corsi who works there won the Norwegian Pizza Championship this year (first and third place) and we were therefore quite excited to try this pizzeria. 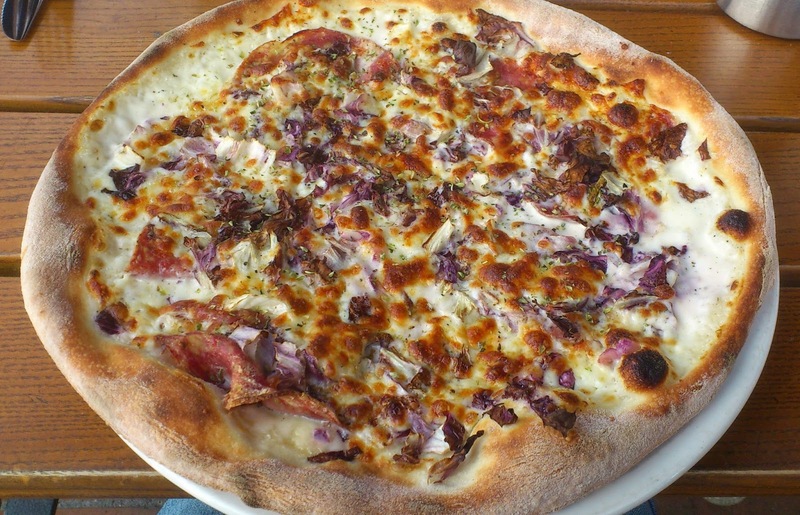 The restaurant offers (of course) a "commercial" variation of the pizza which finished first and also the pizza which finished third. Somehow we decided to go for other pizza that time. My wife went for a pizza with the same name as the restaurant: pizza Eataly. It was with tomato sauce, meatballs and a bit of blue cheese. I am not a big fan of blue cheese on pizza but this time it worked quite well because it was put in small quantity. Also the dough and the tomato sauce were good. I went myself for a pizza Finocchiona with cream, mozarella and ... fennel salami. Hadn't hørt about fennel salami before but it tasted great and fit well with the pizza. 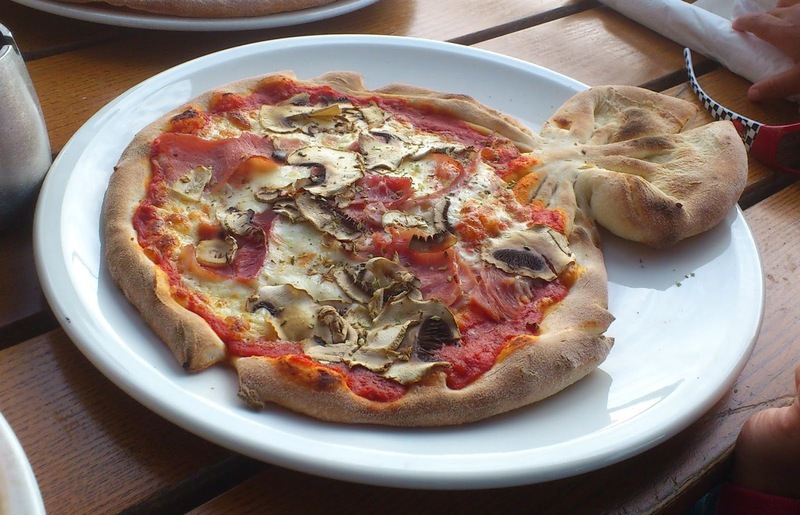 Finally, our son got a children version of the Prosciutto pizza with ham and mushrooms. It had a cute fish shape and wasn't bad but I was surprised that the tomato sauce wasn't the same as the one used for adults pizza. Sweeter (better for children?) but less Italy-"authentic". - the service wasn't top-notch. For example, we had to wait 5-10 minutes to get water, even though we had hailed to several waiters. If you check other reviews on the net you may find horrible ones where one had to complain to the supervisor or something. It wasn't that bad for us. Just not awesome. - strollers are not allowed inside. Common practice in the area but not a good one in my opinion. 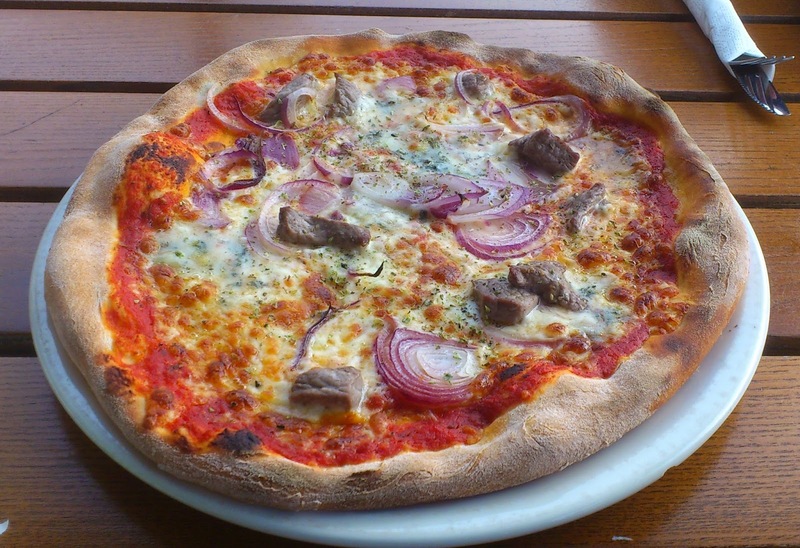 A bit about the price: the pizza Finocchiona was at 169 NOK, the pizza Eataly at 189 NOK and the pizza for our son 85 NOK. Correct for the area.